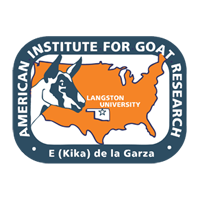 Somatic cell counts (SCC) in goat milk from different stages of lactation were determined at four laboratories (1, 11, 111 and IV) using the pyronin Y-methyl green (PYMG) direct microscopic method and/or Fossomatic machines calibrated with either goat or cow milk standards. The effects of sample shipment and storage on SCC of goat milk were also determined. Results of this study indicated that the PYMG microscopic method and the Fossomatic machine calibrated with goat milk standards gave comparable estimates of SCC in goat milk (p>0.05). However, on average the Fossomatic machines (n=3) calibrated with cow milk standards estimated SCC of goat milk to be 24.5% higher than a Fossomatic machine calibrated with goat milk standards (p<0.05). No significant difference in SCC of goat milk existed (p>0.05) between laboratories (n=2) when the PYMG microscopic method was used. Shipping milk samples in an ice box (3 days) and storing in a refrigerator (3 days) did not affect SCC results (p>0.05).